Chief Fred Ryan of Arlington, Massachusetts has changed the public perception of law enforcement, saved lives, and tackled the opioid epidemic head-on in his community by shifting his department’s focus from “arrest and prosecution” to “treatment and recovery.” The Arlington Police Department partnered with and embraced a progressive new solution-oriented approach to combatting the growing epidemic; the Police Addiction And Recovery Initiative (PAARI). Since implementing this initiative, they have reduced the number of overdose fatalities in their community by more than 50%. As more drugs laced with deadly and addictive Fentanyl hit the streets, the number of opioid overdose deaths were skyrocketing. Chief Ryan and PAARI equipped and trained his police officers to administer the life-saving NARCAN® and to then place people suffering from substance use disorder into treatment instead of arresting them. By re-casting the police as saviors rather than incarcerators, Arlington has been able to not only to reshape community perception of the police, but has reshaped the community and police perception of opioid addiction as a disease rather than a crime. As a result, Chief Ryan and his officers are preventing overdose deaths and improving the quality of life in their community. As the opiate crisis continues to ravage cities and towns across the nation, Arlington and PAARI have become the gold standard for treatment and care for people with substance use disorder. As Maryland slips into being one of the opioid overdose capitals in the country with more than 2,000 opioid deaths in 2017, the film will chronicle one of its major police departments as it implements PAARI in their community and tries to duplicate the success of Arlington, Massachusetts. The film will capture the personal stories and struggles of the officers as they are charged with changing the way they do their jobs and changing their own belief systems about substance use disorders. At the same time, the film will chronicle the journey of the people with substance use disorder who are trying to regain their lives and put their trust back in a system that spent decades incarcerating them. 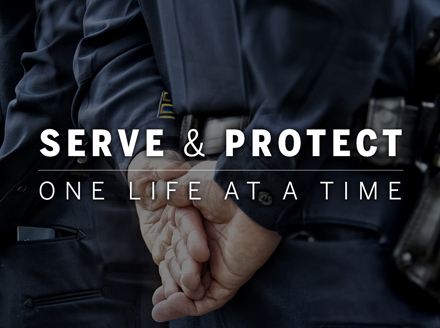 The filmmakers have gained exclusive access to PAARI and their national police partners, who since 2015 have been adopted by more than 460 Police departments in 32 states and growing. Prescription opioid, heroin and synthetic opioid overdoses killed roughly 72,000 people in the United States in 2017. There are more overdose fatalities in a single year than the numbers of annual deaths from firearms violence, HIV infection or motor vehicle crashes combined.